Ft. Lauderdale is a gorgeous beachside destination on the southeast coast of Florida. The city’s abundance of small waterways have led to it being nicknamed the “Venice of America.” Whether you’re looking for a sightseeing tour, a private excursion, or a daily method of transportation, you’ll find that Ft. Lauderdale offers many unique options for getting around and taking it all in. Ft. Lauderdale is known as the “Venice of America,” and this comparison would hardly be complete without some romantic gondolas gliding through the city. The canals of Ft. Lauderdale host gondola tours seven days a week. Private gondola tours are also available for a custom experience. You can bring your own food and wine, dictate the itinerary, and pop your music in the CD player. With options as versatile as these, it’s almost as good as owning your own boat. Hop on a Duck Tour and see Ft. Lauderdale from land and water, all in one excursion. These tours use Hydra Terra vehicles that move seamlessly from the streets of historic Old Fort Lauderdale to the Intracoastal Waterway where you’ll boat alongside the yachts and waterside homes of the rich and famous. If you’ve spent much time in Ft. Lauderdale, you’ve probably seen these strangely shaped vehicles on the streets. Each Hydra Terra is 39 feet long and seats up 49 passengers. Travelling up to 65 miles an hour on land, this boat on wheels is a truly unique ride. 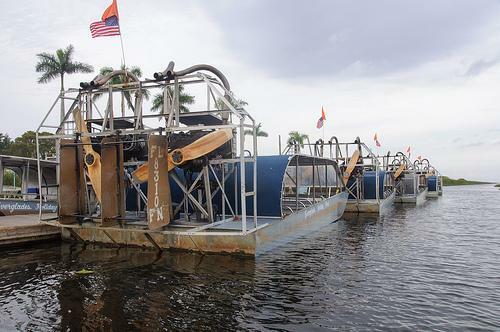 The airboat is a native invention of Florida, first registered in the 1920s. These vehicles use a giant caged propeller on the back instead of the more traditional submerged propeller. Elevating the propeller’s position and pulling it out of the water gives you a versatile watercraft that can easily travel in shallow waters that would mire an underwater propeller. Ft. Lauderdale airboat tours are typically offered in the Everglades. The shallow waters and swampy land here are a favorite of alligators and local birds. You may also spot otters, raccoons, squirrels, deer, and panthers. Airboats can travel as fast as 60 miles per hour, but typically glide along at a slower pace to give guests a chance to glimpse the Everglades’ impressive wildlife. Glide alongside the beautiful beaches of Ft. Lauderdale on a Segway for a fast and entertaining way to take in the area. Tours of Birch State Park and the Hollywood Boardwalk are available for groups of two to six. These motorized personal vehicles are a modern option that lets you stand upright on a small platform while travelling at speeds of 12 to 24 miles per hour depending on the model. Though balance and operation are a bit tricky to master, a brief period of private instruction typically has riders ready to go. Commercial airplane tours give you several options for enjoying an aerial view of Ft. Lauderdale. If you’re more interested in getting around than seeing the sights, you can also book a charter flight from Ft. Lauderdale to nearby destinations such as Tampa, Orlando, Naples, and Key West. For major air travel, the Fort Lauderdale-Hollywood International Airport services this area, offering convenient flights to destinations around the world. Though this isn’t an authentic pirate ship, the children in your party won’t know the difference. Little ones are sure to enjoy an unforgettable experience on the Bluefoot Pirate Adventures cruise. This themed cruise for children includes face painting, pirate lessons, and a swashbuckling treasure hunt. Junior pirates leave with a certificate commemorating their pirate accomplishments, as well as a bag of booty. Tours take place four times a day, six days a week. If you’re looking for a biking experience that goes above and beyond your typical ride, consider traversing Ft. Lauderdale on a quadracycle. The unique Cycle Party quadracycle bikes hold 15 people at a time. Ten are pedalers while five lucky riders get to coast. You need at least six people to book the bike. Once you’ve scheduled your private trip, you can plan any itinerary you want. Use the bike to visit your favorite shops and restaurants in the city or plan a scenic excursion that features some cultural sights. For public transportation needs, the Sun Trolley is one of the most efficient options in Ft. Lauderdale. These brightly colored trolleys are easy to spot all over the city because of their striking red and yellow design. They are bio-diesel vehicles, making for an environmentally friendly choice. The comfortable air-conditioned trolleys can accommodate both wheelchairs and bikes. Convenient routes take you all over the city. Broward County’s bike share program makes it easy to travel around Ft. Lauderdale on two wheels instead of four. Get fit and help the environment all at once using this convenient travel option. 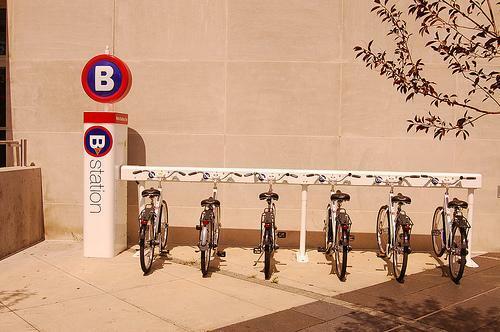 The B-cycle bike sharing program allows you to take any available bike from nearly two dozen B-stations throughout the area. Simply return your ride to any other B-station when you’re finished. You can sign up for the program as an annual member, get a 7-day pass, or pay for your bike per use as a guest. If you want the thrill of a bike with the added convenience of a motor to power your excursions, grab a scooter rental for your next day around Ft. Lauderdale. Whether you’re exploring the shopping and dining options or touring the beaches, you’ll find handy vehicle rentals that can meet all your needs. Grab a trendy scooter and speed away with the salty wind in your hair and the sun on your back. Ft. Lauderdale boasts more than 3,000 hours of sunshine a year, so you’ll have plenty of opportunities to explore without the fear of inclement weather ruining your day. Whether you’re visiting Ft. Lauderdale on vacation or you’re one of the lucky 170,000 residents who call it home, these boats, bikes, and vehicles offer some unique ways to enjoy this sunny Floridian city. By land or by sea, you can travel in an exciting and unusual way.